The average wedding in the US costs an astonishing $33,391. In some locations, the price tag for getting married can be substantially higher. For example, in Manhattan, the average amount is over $76,000. 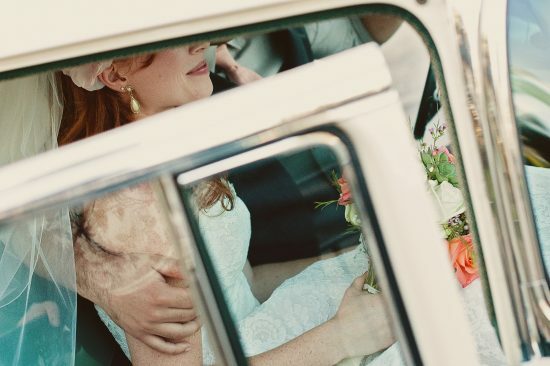 Whether you can afford an August wedding depends on a variety of factors, including, but not limited to, how much you have in savings, the venue you select, and the number of guests. If you’ve been planning your August wedding for some time, you may be ready for the costs that come with the occasion. However, if you are recently engaged and want to get married quickly, you may have to make some adjustments to the celebration to make it affordable. Where you decide to hold your wedding plays a big role in the total cost. Typically, the venue is the single largest expense a couple handles, averaging about $15,000. However, you also have a substantial amount of control when it comes to managing location costs. For example, getting married in the courthouse, city clerk’s office, or a family member’s backyard is substantially cheaper. In New York City, a marriage ceremony in the city clerk’s office is just $25. However, you won’t be able to customize the space or invite a lot of guests to witness the occasion. Certain nontraditional locations can also be fairly low-cost. For instance, if your city has a beautiful library, local theater, or public park, those might not be overly expensive. A zoo or aquarium can be a fun choice and might be more affordable. University campuses often have amazing architecture and may have other picturesque features like fountains that could create amazing backdrops. 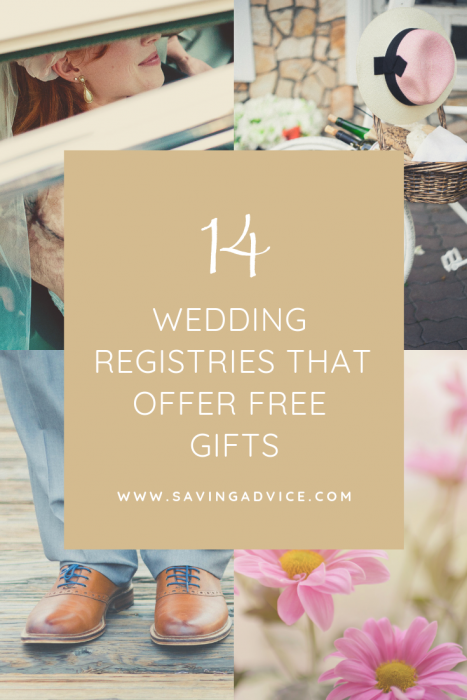 Plus, since the campus typically isn’t as busy during the summer season, you might be able to score a deal on an August wedding and not have to worry about students interrupting the ceremony. Another substantial expense is the décor and flowers. If you need to bring in tables and chairs or otherwise want to decorate the space, that all comes with a price tag. You can limit the amount you spend in a few different ways. For instance, if you have a small wedding with only close friends and family members in attendance, you can limit the number of tables and chairs you need. Similarly, choosing flowers that are in season can cut down on the cost as well as embracing “filler” blooms and foliage that are more affordable. If you decide to get married outdoors, you might even be able to forgo buying additional flowers beyond your bouquet if the nearby landscaping is attractive. 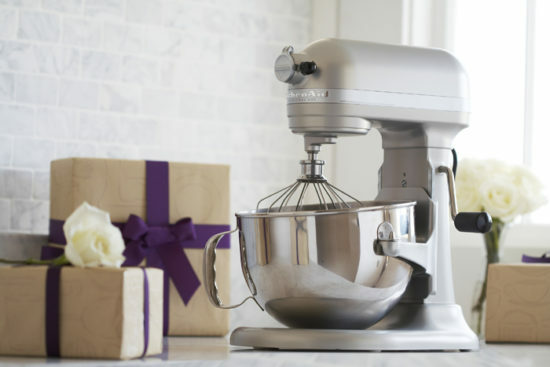 Certain décor items are relatively inexpensive if you shop in the right places. Retailers like Walmart and various dollar stores often have candles, candle holders, and vases at low prices. You can also find affordable decorative glass gems to put in clear jars or on tables in a range of colors, letting you add some shine and sparkle to your décor. In some cases, the venue may have all of the décor you need. Many hotels provide tables and chairs with their rooms, so the expense is rolled into the price. Parks may have gazebos or halls that have tables and chairs available as well. Most couples want pictures on their wedding day, but many don’t anticipate how much a professional photographer costs. While it may be tempting to forgo the service entirely, especially since smartphones have reasonable cameras, you might run the risk of not having the ideal pictures if you don’t work with someone who truly knows how to capture a wedding. However, that doesn’t mean you can’t keep this cost down. For example, you can explore only using a professional photographer during the ceremony itself. Then, create a website or email address where guests can send you images from the reception. Full-length bridal gowns, tuxedos, and bridesmaid dresses all come with price tags. It isn’t uncommon for the bride to spend at $1,500 on a dress, though more expensive options are certainly available. If you want to make your August wedding more affordable, then consider some alternatives to buying all of the attire. Bridesmaid dresses and tuxedos or suits are usually available for rent, which can cost substantially less than buying. Forgoing an extravagant bridal gown for something simpler can also help you save, as additions like beading and lace typically cause a dress to cost more. Since you are holding an August wedding, you may want to consider a lighter weight dress that is appropriate for the season, especially if your ceremony or reception is outdoors. Temperatures are high during this time of year, so layers of satin, silk, or chiffon may increase the odds that you’ll overheat, and no one wants to be uncomfortable on their wedding day. Hors d’oeuvres, dinners, Champagne, and the cake are common wedding-related expenses that you need to consider. If you decide to have the event catered, the cost can come out around $70 per person, which adds up quickly. If you need to keep the cost down, you do have options. First, forgo an open bar, which can quickly get expensive. You can choose to have a Champagne toast or simply limit the number of drinks, making it easier to control the cost. Choosing a buffet dinner option over individual entrees may also be less expensive. Similarly, avoiding steak and seafood and offering chicken or pasta dishes instead might bring the price tag down. You can also adjust the timing of your wedding so that a full meal isn’t expected. For example, a mid-afternoon or late evening event may make just providing hors d’oeuvres sufficient. Additionally, limiting the number of guests can make controlling this expense even easier no matter what you want to offer. Feeding 30 is substantially less expensive than 100, so keeping your guest list small can make your August wedding more affordable. Can’t Afford the Wedding You Want? If you have a dream event in mind and an August wedding this year is simply unaffordable, then you do have a few options. 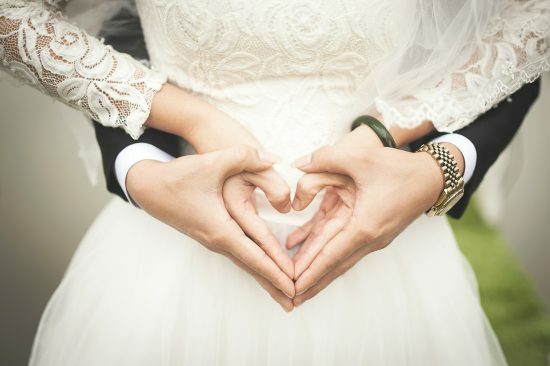 If you need to get married quickly, consider getting married at the courthouse this year and then scheduling a vow renewal on your one-year anniversary with all of the bells and whistles. In situations where you have more time, you can always choose another month or year to get married. There is no hard-and-fast rule regarding how long an engagement can last, so don’t hesitate to pick a date that works for your pocketbook if the need arises. Are there other costs couples should consider when planning an August wedding? Tell us your thoughts in the comments below. Are Weddings A Huge Waste of Money? His eldest daughter is only seven years old. I can understand why parents might be concerned about wedding costs. The last wedding I attended was in 1993. The bride’s parents paid over $50,000 for the wedding which was attended by about 300 people, many of whom never even had a chance to speak with the wedding couple. In 1993, $50,000 would have purchased a home in many parts of America and it would have been a substantial down payment in those parts of the country where it would not have bought a house. More to the point, that money would have paid off all of the bride’s debt from law school. I shudder to think of what wedding reception costs must be like today. My wife and I also married in the early 1990’s. We were a bit more pragmatic in our wedding plans, however. We eloped. We hired a justice of the peace, who performed a very nice ceremony, and he married us in the presence of two couples we knew from our office. We then went out for a nice dinner – just the six of us. We had a great night and then my wife and I went to a bed and breakfast to enjoy our first week of marital bliss. I will never forget a moment of that night. My wife was, as always, beautiful and I was, as I am today, the most fortunate man on this planet. She was the only person that I needed at my wedding and, I like to think, I was the only person she needed there. Now that spring is here, several neighbors have announced the engagement of their sons and daughters. The weddings will take place next spring and both the betrothed young people and their respective mothers have started the endless hours of wedding planning. Meanwhile, more than a few fathers have started to worry about the wedding costs. Why is all that necessary? 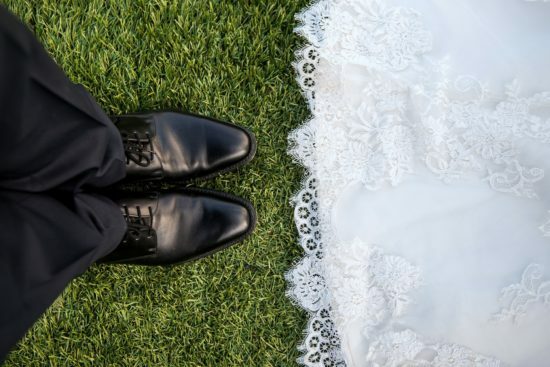 Does it truly make sense for young people to embark on marriage with an expensive party that will add to the stress of their young relationship? Couldn’t that money be better spent by helping the young couple to get a start on their new life together, rather than using it to give them an expensive party to send them on their way? I think so. I mentioned this to the fellow who was concerned about the costs of his seven year old daughter’s eventual wedding plans, and he rather liked the idea. Of course, he also admitted that he did not think that his wife or daughters would necessarily agree with him. What do you think? Are huge weddings a waste of money or are they a necessary event that young couples should enjoy as the one great celebration that is truly about them? How can such celebrations be handled in a cost effective way? If you are planning a wedding now, how are you controlling costs or are costs not a focal point of your planning?